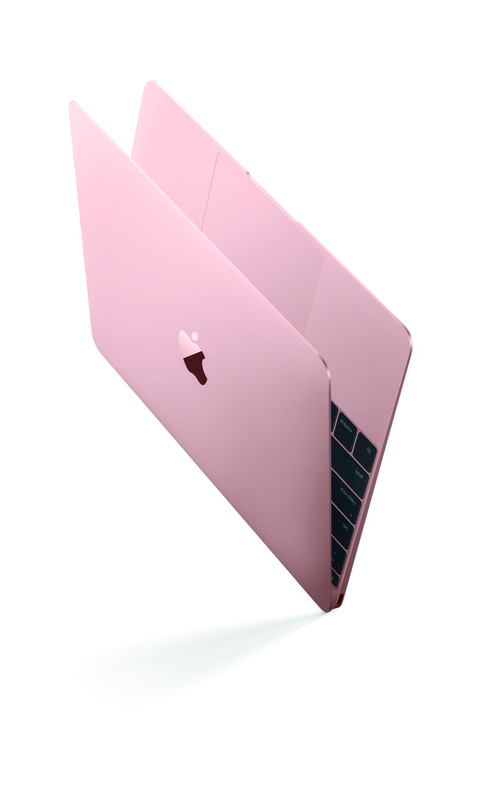 The new MacBook also comes in a rose gold color option, mimicking Apple's iPhone and iPad product lineups. Like the first-generation MacBook, the ultraportable notebook has a 12-inch Retina display, full-size keyboard, Force Touch trackpad, and a single USB-C port for charging and syncing, all packed into a 2-pound frame that is just 13.1 millimeters thin. The base configuration with a 1.1-gigahertz dual-core Intel Core m3 processor, 8 gigabytes of RAM and 256 gigabytes of flash storage starts at $1,299. The new MacBooks are available to purchase starting today through Apple's website, and will be available to order at Apple Authorized Resellers and Apple's own retail stores beginning Wednesday. The new sixth-generation dual-core Intel Core M processors found in the MacBook run at clock speeds up to 1.3 gigahertz, with Turbo Boost up to 3.1 gigahertz. The revamped notebooks also feature faster 1866 megahertz memory. With Intel HD Graphics 515, the MacBook has up to 25 percent faster graphics performance. Speed has also been improved with new, faster PCIe-based flash storage. With all the enhancements, Apple has also improved battery life, with the company claiming the MacBook offers up to 10 hours of wireless web browsing and up to 11 hours of iTunes movie playback. "MacBook is the thinnest and lightest Mac we have ever made and it's our vision for the future of the notebook," said Philip Schiller, Apple's senior vice president of Worldwide Marketing. "Customers are going to love this update to MacBook, with the latest processors, faster graphics, faster flash storage, longer battery life and a beautiful rose gold finish." AppleInsider was first to report on Monday that Best Buy had halted sales of the first-generation 12-inch MacBook. A refresh for the MacBook Pro is also expected to arrive in the near future. The MacBook Air was given a bump to 8 gigabytes of RAM in a minor refresh on Tuesday. 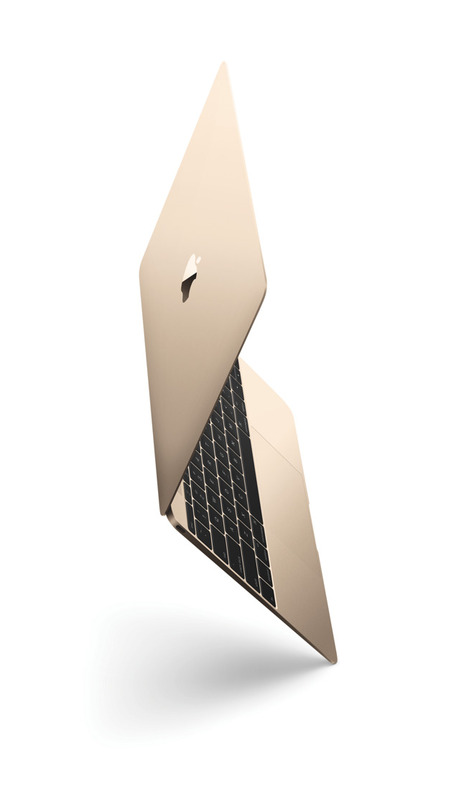 Like its predecessor, the 2016 MacBook features a single USB-C port for charging, data transfer and video output. It's a reversible connector that is one-third the size of a traditional USB port. The MacBook also lacks moving parts or vents, giving it a fanless design that runs silently. It also features 802.11ac Wi-Fi and Bluetooth 4.0 connectivity. 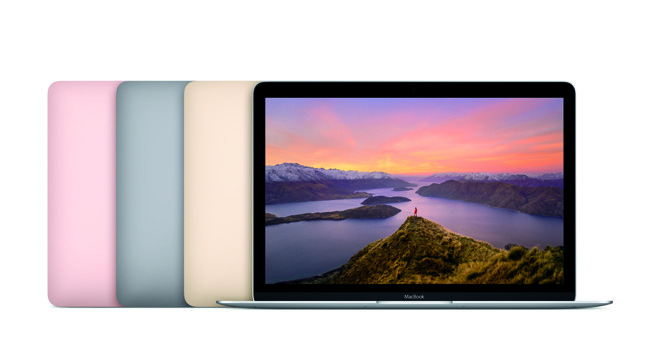 As with all new Macs, the MacBook ships with OS X El Capitan, the latest version of Apple's Mac operating system. Apple-built apps like iMovie, Garageband, and the iWork productivity suite are also included at no extra charge.